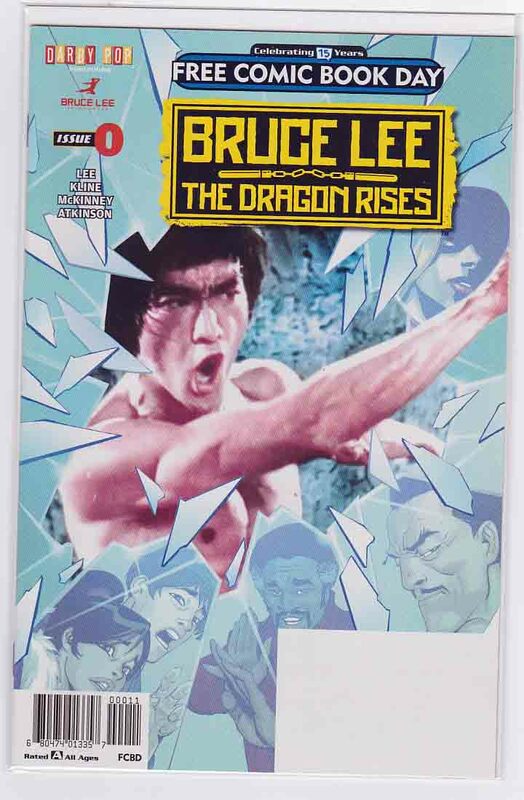 Bruce Lee The Dragon Rises #1 (2016) Bernard Chang Cover. Jeff Kline & Shannon Lee (Bruce Lee's Daughter!) Story. Brandon McKinney Art. Bruce Lee never died. And he hasn't aged. But, Bruce has no idea who he is or why so many 'thugs' want a piece of him. 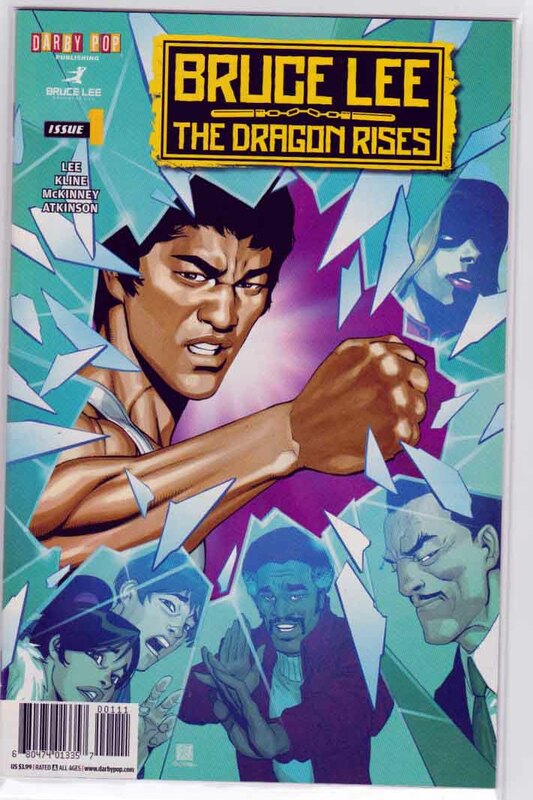 Co-written by Bruce's daughter, Shannon Lee, and Jackie Chan Adventures EP Jeff Kline. With alternate Frank Cho cover.